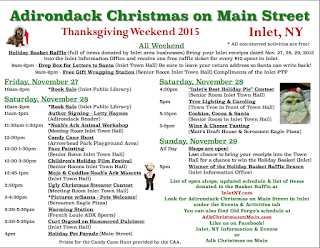 For those around the Central Adirondacks Inlet, Indian Lake and Old Forge are celebrating an early Adirondack Christmas. Inlet and Old Forge are once again co-hosting an Adirondack Christmas on Main Street allowing people to walk through the local stores and peruse locally made crafts, meet store owners and truly get in the holiday spirit.Just around the corner, Indian Lake celebrates Black Friday and Small Business Saturday with fun family activities, crafts, local food and Made In the Adirondack artisans. 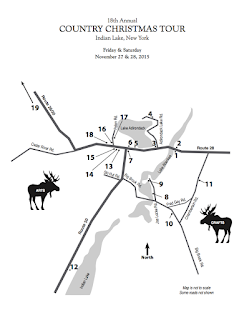 The 18th annual Indian Lake Country Christmas Tour will take place November 27-29 at various times and locations. 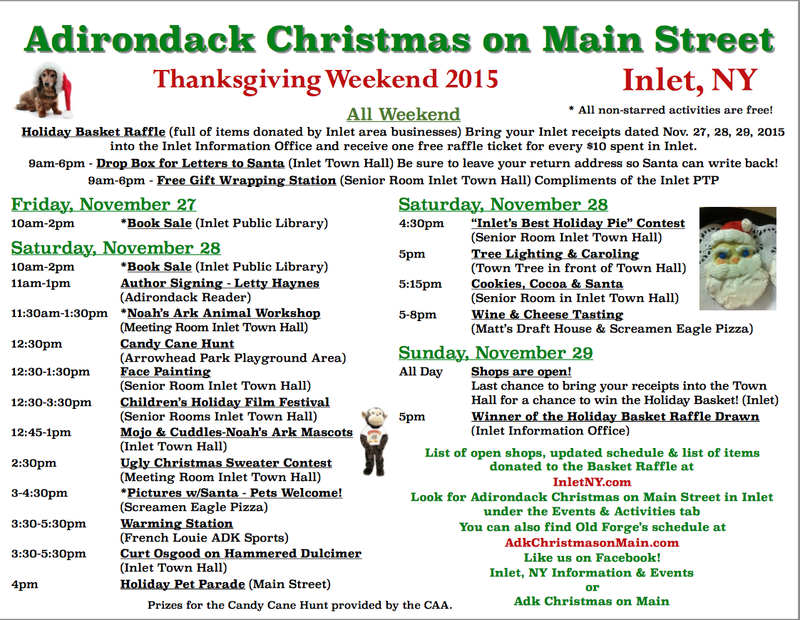 Adirondack Christmas on Main Street will take place throughout the weekend of November 27-29 in Inlet and Old Forge. 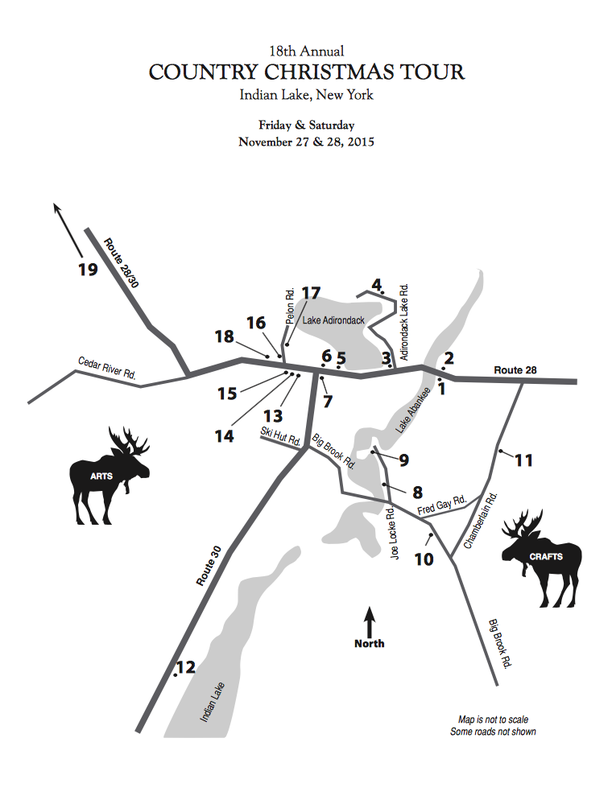 The activities in Old Forge range from horse drawn wagon rides to meeting sled dogs. Perhaps free crafts at The View or seeing reindeer at Walt’s Diner is more to your liking. Throughout the weekend look for the Santa Train departing from the Thendara Station. 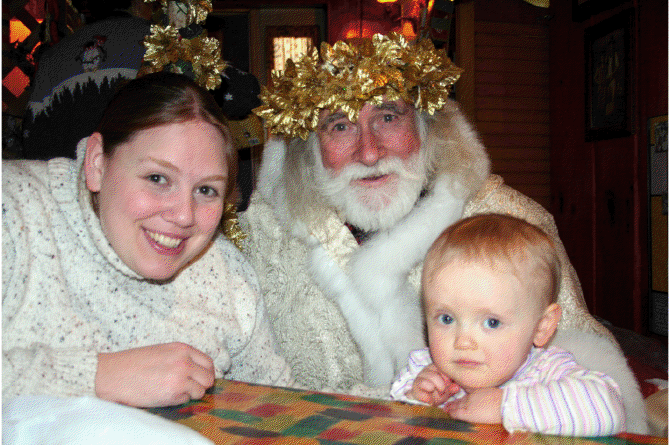 On Sunday have breakfast with Santa and Mrs. Claus or join in the Reindeer Run at 1:30 p.m. which starts at the Goodsell Museum (antlers are provided) After the race take a break at The Strand Theatre, Old Forge and watch a holiday film (If you wear your antlers get ½ price matinee admission and a free small popcorn.) Well worth wearing antlers. The 18th Annual Indian Lake Country Christmas Tour (CCT) gives visitors an inside view of the lives and work of more than 45 local and regional artisans and crafters. A map with all the various activities and crafts is located at the Chamber of Commerce as well as at any of the crafters’ homes. There are over 20 stops as well as the Mini crafters area at the Indian Lake High School which hosts over 25 vendors in one central location. Each crafter strives to decorate his/her house in a festive manner. Guests are also greeted with hot cider and coffee when welcomed into various locations. People will have the opportunity to see how and where each craft and artwork is made. © Diane Chase, author of Adirondack Family Time: Tri-Lakes and High Peaks (Your Four-Season Guide to Over 300 Activities) for the towns of Lake Placid, Saranac Lake, Jay/Upper Jay, Wilmington, Keene/Keene Valley which is available online or bookstores/museums/sporting good stores. Diane is currently working on the next guidebook in the Adirondack Family Time series of Adirondack Family Activities™.